My first eBook is officially available for sale! 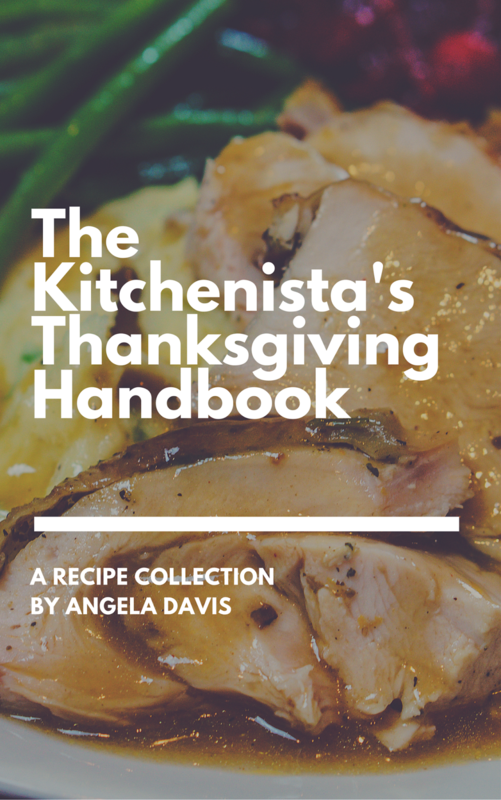 I'm pleased to have published a small collection of Thanksgiving recipes written for home cooks who want to make an entire menu from scratch. All of the recipes are based on one grocery shopping list, included in the book, as well as a prep schedule to help plan do-ahead tasks. It's a tiny glimpse into some bigger projects that I have in the works for future cookbooks. I am ecstatic to have it out there and for the surge of support received so far! 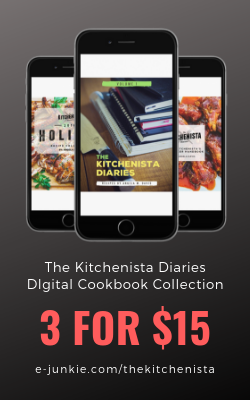 The Kitchenista's Thanksgiving Handbook is available in PDF form and eBook for Apple devices at the Blurb bookstore and the iBookstore. I'd love your feedback in the form of reviews on either site! 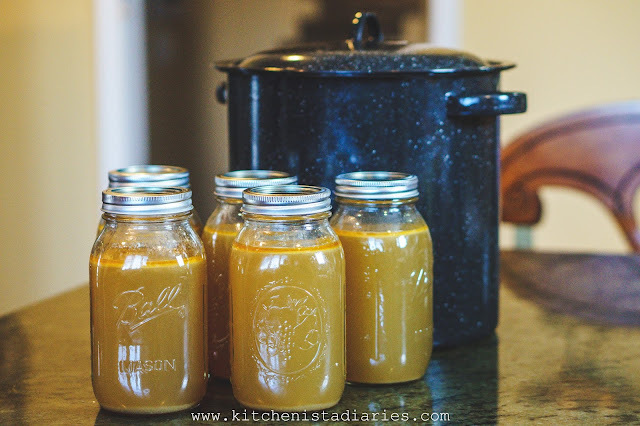 Since it's both Thanksgiving and soup season, I thought I'd share my homemade chicken stock recipe from the book. 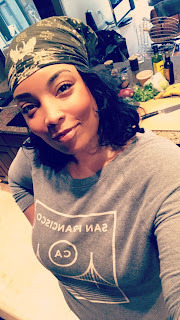 It's one of the recipes in the "Prep Work" section, which organizes all of the little things you can get out of the way before Thanksgiving that are essential for scratch cooking! chickens I cook. About once a month, I have enough scraps to make a pot of chicken stock. If you’re preparing for Thanksgiving, it wouldn’t hurt to practice your roasting technique on chickens before you roast a bigger turkey. You’ll be left with extra bones to make your stock! You can substitute turkey bones in this recipe if you have them, but your gravy will be just ﬁne using chicken stock. Just add drippings from your turkey on Thanksgiving day. 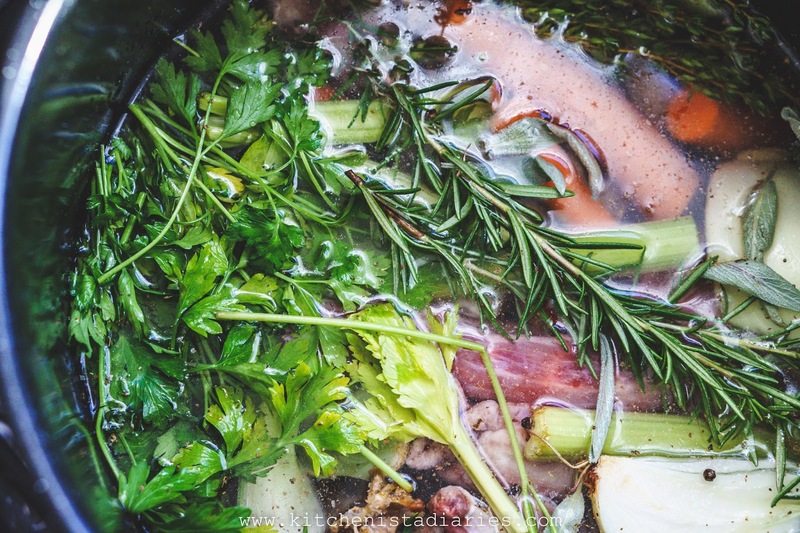 Note: Stock can be prepared in a slow cooker on the low setting. Adjust cooking time as needed. Place bones in a large stock pot. Top with remaining ingredients. Add cold water to cover; about 5 quarts. Simmer for 2 to 3 hours over medium low heat. Skim surface occasionally of any foam or residue. The stock does not need to boil. In the last hour (or after all meat is fully cooked) you can begin to taste test to decide how strongly ﬂavored you want your stock. The longer it simmers it will become more concentrated but also darker.